I departed from the US of A late on a Friday evening and arrived in Sydney on Sunday morning. I had some wine on the plane, watched some movies, and slept through the majority of the flight, surprisingly I felt little to no jetlag. I made my connecting flight and bus trip up to Port Douglas, this is where I plan on staying for a couple of months to find work, save up some money, and continue to travel afterwards. Shortly after settling into a hostel I was still pretty confused on the date/time situation, and continued to be for the better part of a week, but I figured I was on vacation, who cares! With that in mind, I bought a watch. A watch that I paid $19 for, and have only worn once. 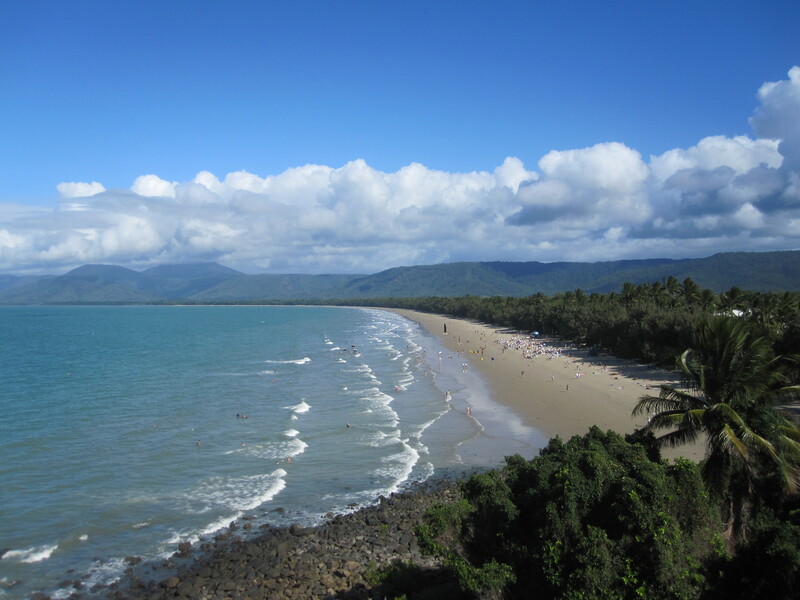 I chose to begin my trip in Port Douglas, because although its winter in Australia, PD is quite warm and tropical during this time of year. And as the rest of the country begins to warm up, I’ll migrate south. This is Four Mile Beach, its quite nice. This is where I spent most of my days for the first week, relaxing, enjoying the sunshine, sand, sun, swell, swords, saltwater, the beach. Now I needed to find work. I went into town and dropped off my resumé at several establishments. I received an email later that day that one of them, The Central Hotel, wanted to give me a trial shift as a cellarman. This included re-stocking all of the bars in the hotel, changing over kegs, replenishing the inventory at the two liquor stores (bottle shops) that they operated, and some cleaning. I thought to myself, Sweet! Getting work is super easy! I went in, worked a little over 7 hours, and was told they’d contact me if they wanted me back. Well, I heard back, and they decided to hire a local, who they could rely upon for more than a few months. This sucked. I pretty much was relying on this job, and now I needed to go out and hit the streets for work, again. There is nothing more that I hate than having to look for work. At any rate, I ended up getting a call from a restaurant, Bucci, where I have been working the last couple of weeks as a Barman. Having no formal bar experience this job is quite stressful for me. The restaurant is very fast paced and turns over tables relatively quickly. Not only do I have to pour wine and make cocktails, but I also am required to refill water bottles for table service, polish all silverware and glasses, as well as make coffee, which I also have no idea how to do. So aside from the stress and the lack of experience, the pay is pretty good. I make $18.50/hr plus tips. 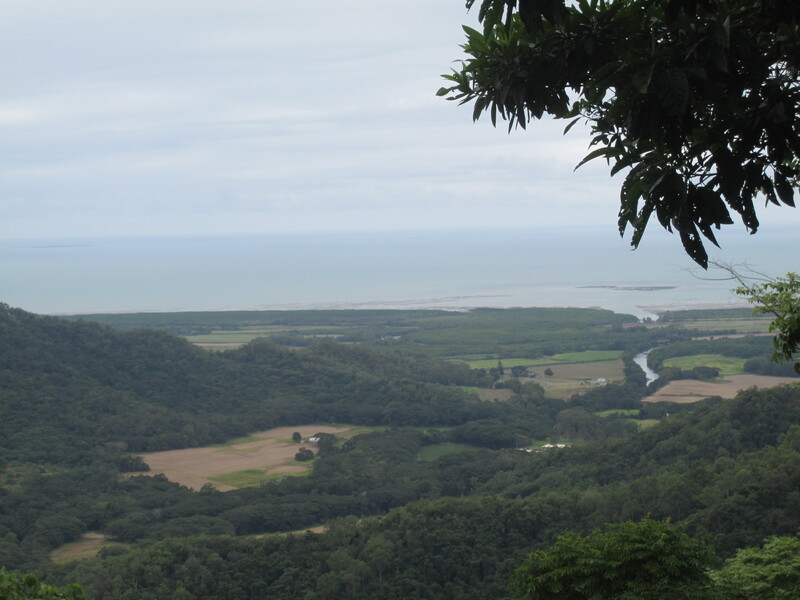 In my free time, I have been enjoying the surrounding areas of Port Douglas. I went mountain biking at a place called the bump track, which is in a World Heritage Area, Australia’s version of National Parks. 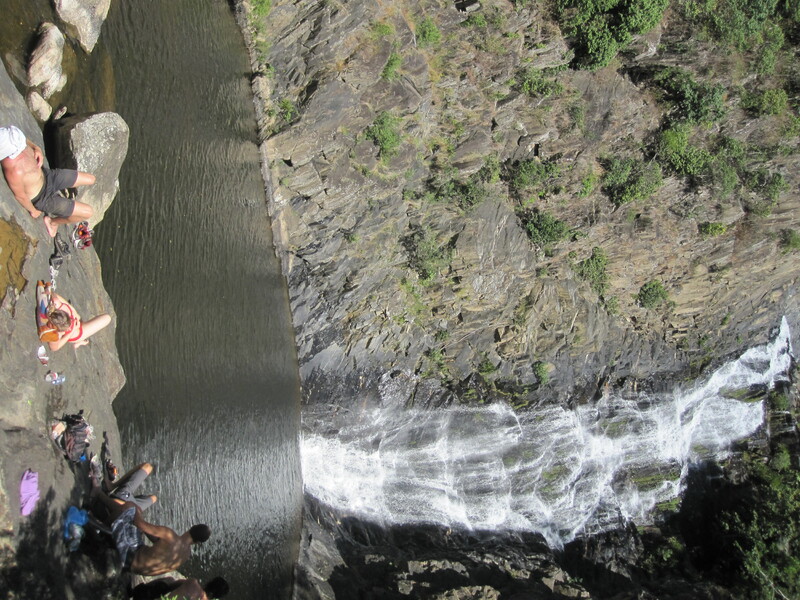 I went hiking along the Spring Creek, to a series of pools and waterfalls with some friends from the hostel… This was an amazing trip, the water was refreshing, the company was great, the views were phenomenal. 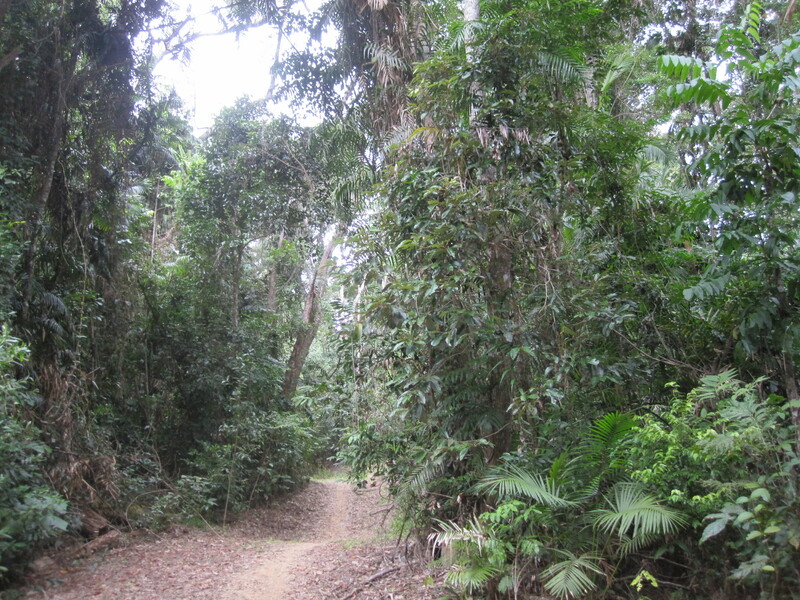 The most frightening thing about this excursion was that as I was hiking along, a snake came slithering up towards me, and after being told that everything in Australia will kill you, I jumped out of its way only to land mere inches from an enormous spider in its web. The spider was nearly the size of my face. I freaked out, but I survived. 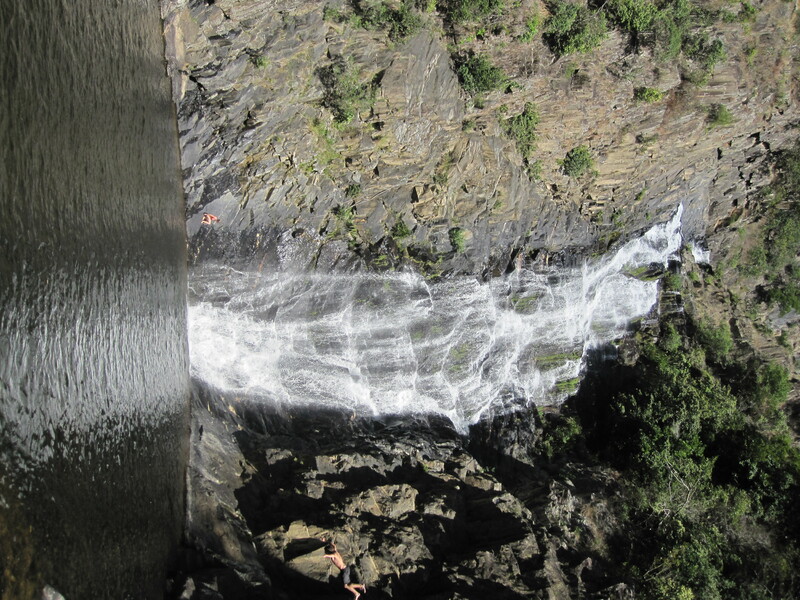 This entry was posted in Uncategorized and tagged Australia, Beach, exploration, fun, Gorge, heaps, Port Douglas, snake, spider, Travel, Waterfalls. Bookmark the permalink.